New Year's resolution? Learn a new language - Chinese. You already know all the reasons why: the most widely spoken language, the biggest economy, great job and business opportunities, looks great on your CV. China is where the most jobs are being created. 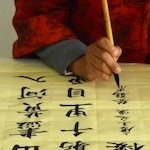 Cheltenham Mandarin offers tailor-made Mandarin Chinese courses. Our flexible One-to-one programmes allow you to choose the time, place and intensity of the teaching schedule to fit in with your personal and work commitments. Designed to be effective, stimulating and practical, so you can learn to speak Mandarin quickly and learn how to write Chinese characters correctly. 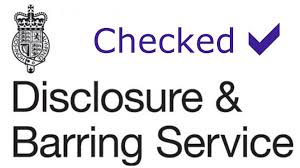 We will do a pre-course needs analysis and language assessment to design your learning plan with you. Private lessons are ideal for students who need to maximise their progress. We offer a trial lesson and free learning materials for beginners. We also provide online Mandarin Chinese learning via Skype or FaceTime lessons. Some former students continue their studies when they are relocated. Our Mandarin learners, yet again, are celebrating outstanding examination results with a 100% GCSE pass rate, all achieved the very top grades of A*, except one who achieved an A after 2 months of pre-exam tuitions. Congratulations Olivia, Duncan, Mollie, Carson, Ami, Tom, James, Kate, and Rob. A special mention of Rob, jiggling between his job, family duty, and his younger son is studying at university, and somehow managed a remarkable - narrowly missed full marks. 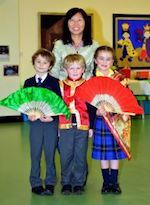 Language Fun: Teacher Yingshi Helsby from Cheltenham Mandarin School with Mandarin language pupils of St Edward School Freddie Taylor, Otto Martin and Hannah Othan. Language become popular among Years 1, 2 and 3 pupils who have been quick to grasp its pronounciation and uncomplicated grammar. Prime Minister David Cameron said he wanted Mandarin on the school curriculum as children will benefit in the future when China becomes the biggest economy in the world. 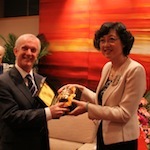 Headmaster Stephen McKeman said: "We are providing an option for Mandarin which includes understanding the geography, history and culture of China, providing a very worthwhile enrichment for our pupils." "It provides essential insights into the changing China business environment, its people and how to trade and do business successfully." The book (ISBN-10: 1852527218) can be ordered via Amazon. Angel Parker learned Mandarin 8 months from a total beginner. At the National Speech Competition 2014, she finished as a runner-up in the beginner's category. In her GCSE Chinese exam - Listening, Speaking, Reading and Writing, she achieved 319 marks out of 320. She did her Cambridge Pre-U exam. If she can do it, so can you. Our free online Learning Materials (see links on the right) is offered to all our learners. Printable version can be downloaded from our website. The recordings below Will who is one of our student. He is relocated to Taiwan. In this lesson, you'll learn greetings, pronounciation and other basics. Emily and Ellie are enjoying the moment. This was recorded during Callum's 2nd lesson. He is studying Engineering in China now.